Grace Ho (left) talks with a friend before class at Lutheran High School South in St. Louis. It’s a chilly January morning at Lutheran High School South in St. Louis, but inside the building it’s warm and filled with activity. 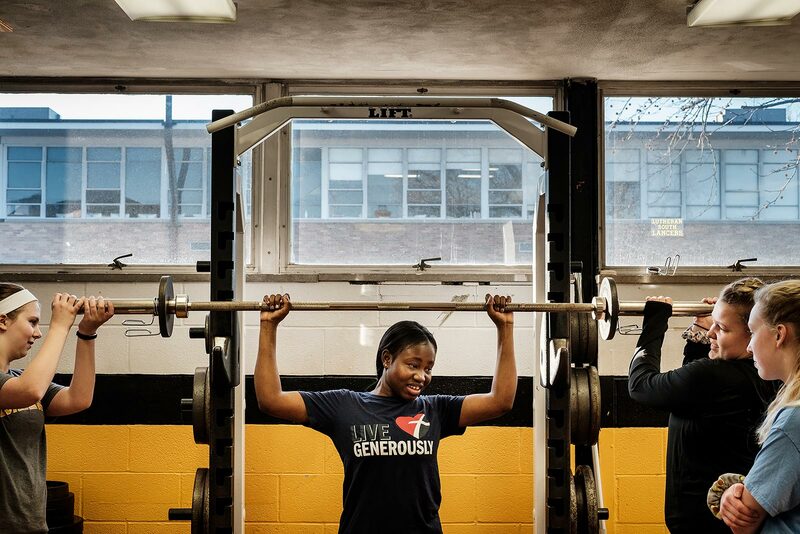 Senior Patricia Massalay lifts weights with classmates during a Physical Education class. Down the hall, junior Thuong Quynh Ho, who goes by “Grace,” talks with friends before the beginning of Advanced Placement Physics. In the cafeteria, sophomore Mamie Passawe looks over a homework assignment before her next class. “I have met new people and learned a new culture. And I’ve been closer to God than I was because of the community,” says senior Patricia Massalay. Although the young women hail from different locations — Ho was born in Vietnam, and Massalay and Passawe are from Sierra Leone — all three have found a supportive Christian community at Lutheran South. Students discuss To Kill a Mockingbird during class at Lutheran High School South. 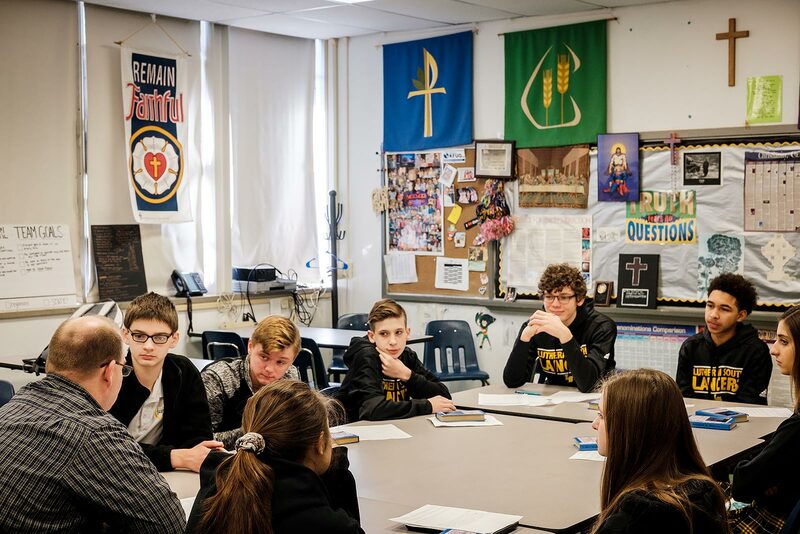 But a high-quality, Lutheran education isn’t cheap, and the three students receive scholarship assistance from Christian Friends of New Americans (CFNA), an LCMS Recognized Service Organization that serves new immigrants and refugees in the St. Louis area. For the last 12 years, CFNA has provided scholarships for 25 to 30 children and young adults each year to help defray the costs of attending area Lutheran schools, from elementary through high school. CFNA provides these scholarships to both Christian and non-Christian families who are interested in Lutheran education for their children. 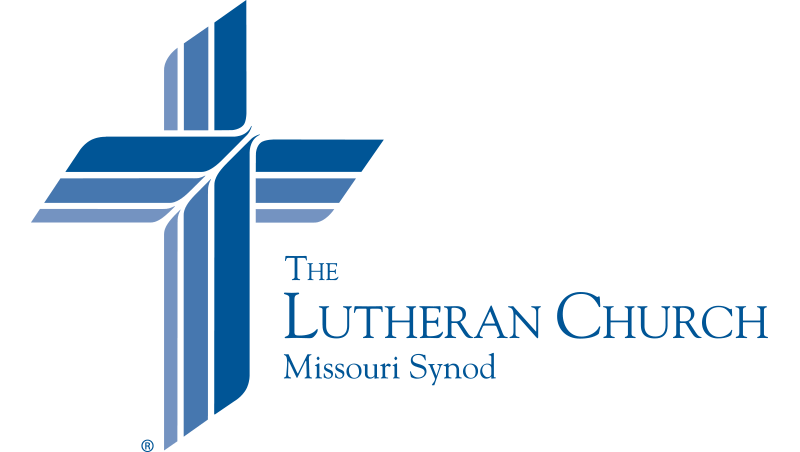 Since 2015, The Lutheran Church—Missouri Synod (LCMS) has supported CFNA in this project through grants totaling $16,700. The Lutheran Foundation of St. Louis also supports this program. The Peace Center near downtown St. Louis. The CFNA office in St. Louis, called the Peace Center, offers a variety of services to assist refugees and immigrants, including English-as-a-Second-Language classes, driving lessons and citizenship classes. 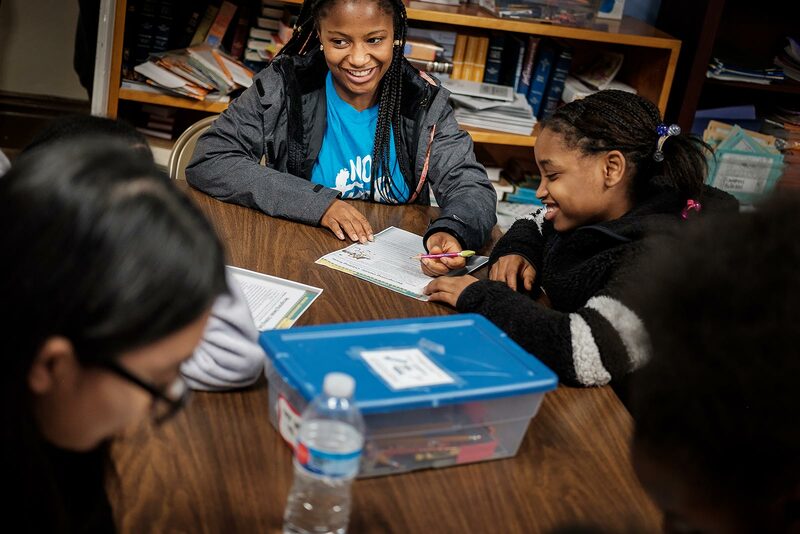 Scholarship recipients like Ho, Massalay and Passawe sometimes assist with after-school tutoring at the center, which on any given afternoon is filled with the chatter of children who have come for help with their homework and a hot meal. On the weekend, CFNA hosts health screenings, fellowship events and leadership classes for men who are considering serving their communities as Lutheran pastors. The leadership classes are designed to prepare these men to continue their formal education through Concordia Seminary, St. Louis’ Ethnic Immigrant Institute of Theology (EIIT). Sophomore Mamie Passawe tutors students after school at CFNA’s Peace Center. Those who regularly attend are from the Democratic Republic of the Congo, Ethiopia, Eritrea, Nepal, Syria and Kurdistan, although anyone is welcome. To develop ministry among different groups, CFNA recruits a person from that community to serve as a facilitator for mercy and ministry efforts. CFNA also helps connect new immigrants and refugees with local Lutheran congregations, celebrating with them milestones such as the Baptisms or confirmations of almost 100 Nepali at nearby Ascension, Messiah and St. Johns Lutheran Churches in recent years. 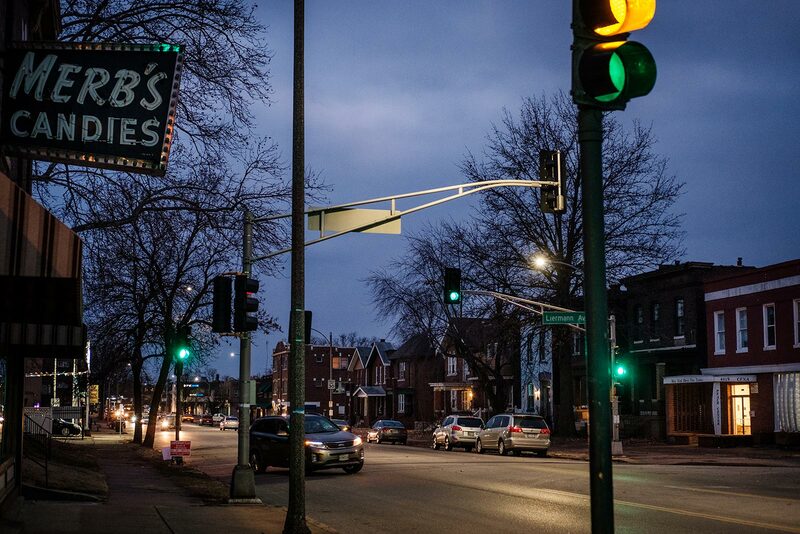 CFNA is located near the International Institute of St. Louis, which works with the U.S. government to resettle between 300 and 800 refugees in the St. Louis area each year. The Rev. Dr. Stanish Stanley, executive director of CFNA, tutors a student after school. One of CFNA’s first facilitators was Gerald Brewah, who came to St. Louis from Sierra Leone to complete a master’s degree in social work at Washington University in St. Louis. He met the Rev. Dr. John Loum, director of the EIIT and a missionary to his home country of the Gambia. Loum introduced Brewah to the Lutheran community and CFNA. Brewah began working with West African immigrants — especially the children, whom he drives to tutoring several times a week. He was among those who initially proposed the idea of providing the scholarships. Ho says that CFNA’s scholarship assistance came at just the right time, as her family was struggling with tuition payments while her parents waited to immigrate to the U.S. to join their three daughters. Although Ho’s family isn’t Christian, she came to Lutheran South nearly three years ago because it was close to her sisters’ house and “seemed like a friendly community for international students” — a sentiment that she found to be true from her first day of school. “I had trouble making friends because I didn’t know how to start up a conversation. My first day, I was eating lunch alone,” recalls Ho, who says that the toughest part was adapting to American customs. Lord of all nations, You continue to bring people together from various places around the globe. Bless the work of Christian Friends of New Americans and all those who seek to share Your love with people who come to America from other lands. Provide comfort and provision for those in need, and most of all, draw all to Yourself through the proclamation of Your Word and by Your grace. We long for the day when people from every nation will join in praise around Your eternal throne, through our Lord, Jesus Christ. Amen.